Weekly round-up for March 30th, 2014! 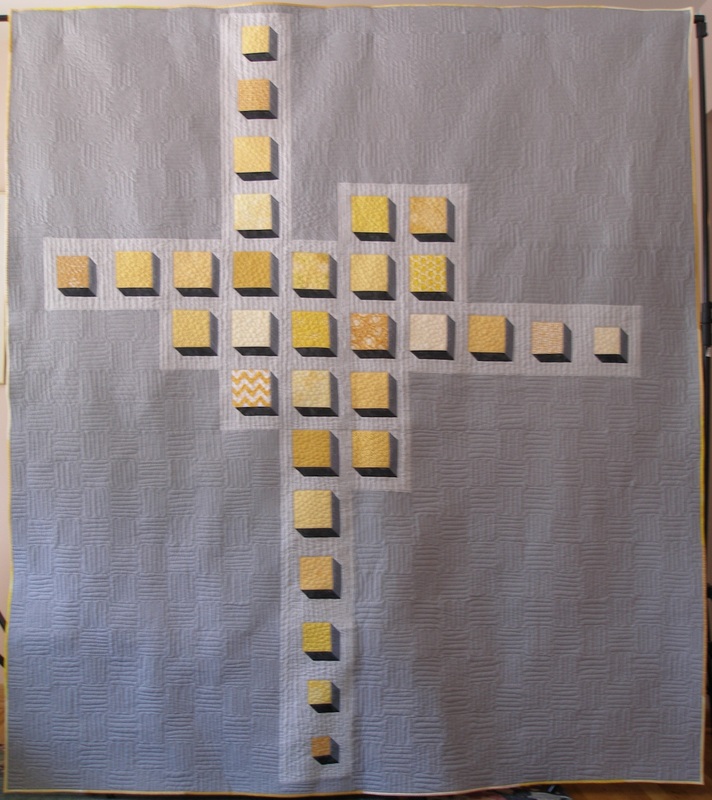 Ginia made a bag and finished her yellow cubes quilt! 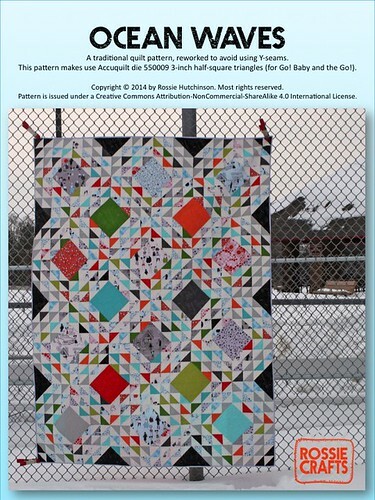 It looks so cool, and I love the quilting! I also blogged earlier about Camp Stitchalot last weekend, and the tackle bag I made. Debbie has a tutorial on how to make a hanging sleeve. 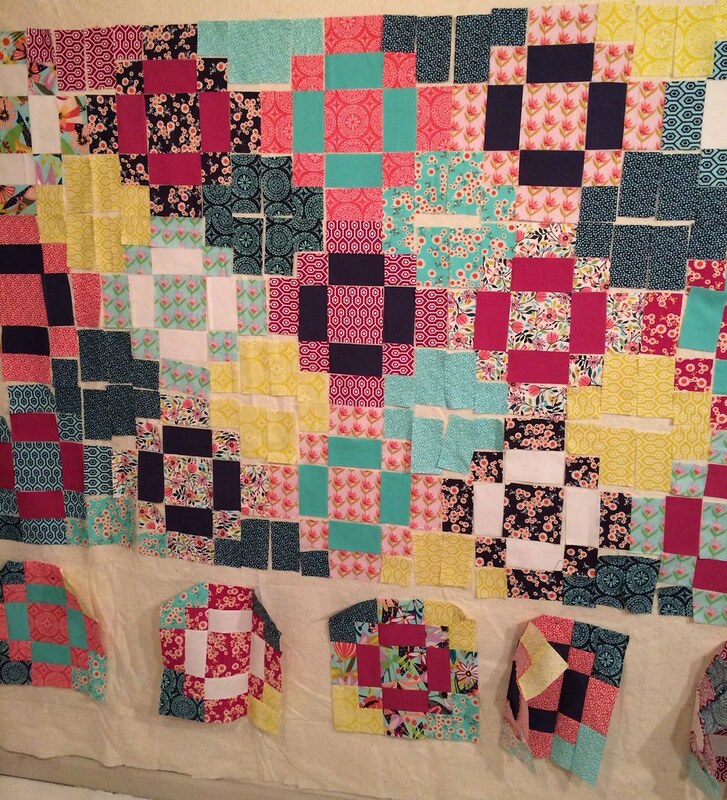 Jen has written a fascinating post about copyright and quilt patterns. 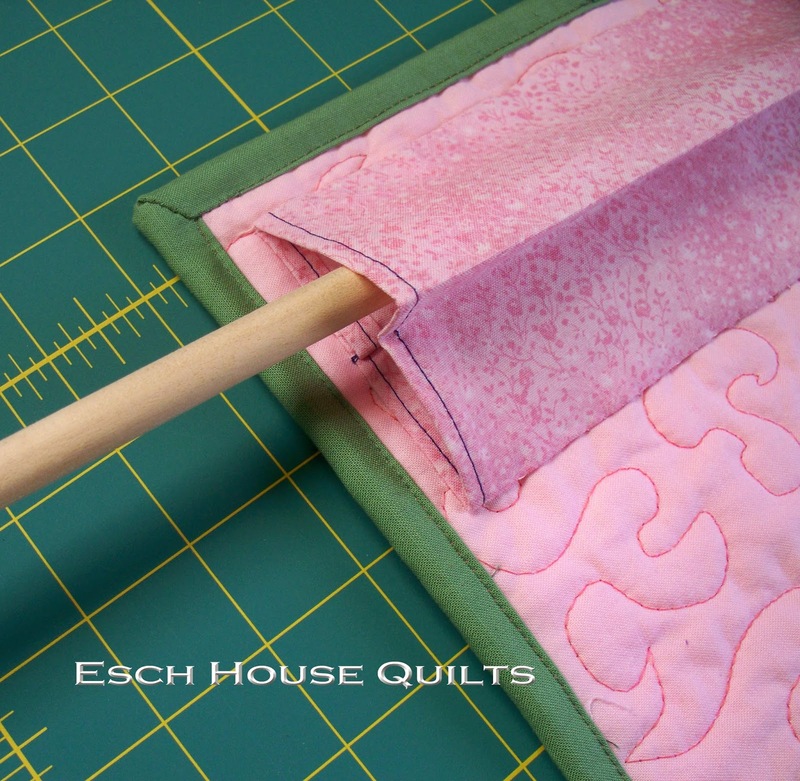 As promised, here is the link to the 4" hanging sleeve tutorial on the Esch House Quilts blog. Weekly Round Up for 3/23/14! 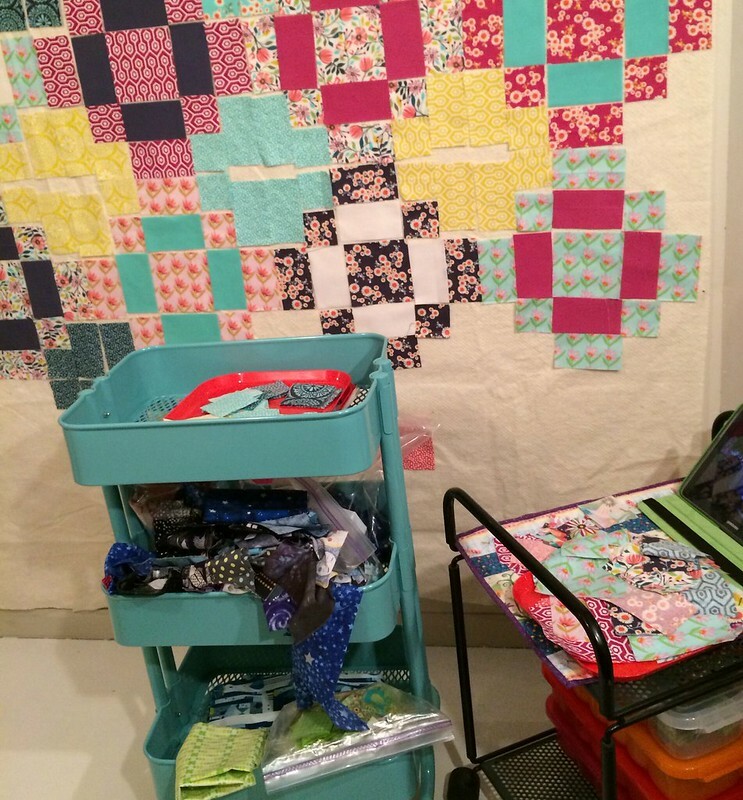 This week Debbie saw her Spin Cycle Quilt on Martha Steward's website recently! Super fun! 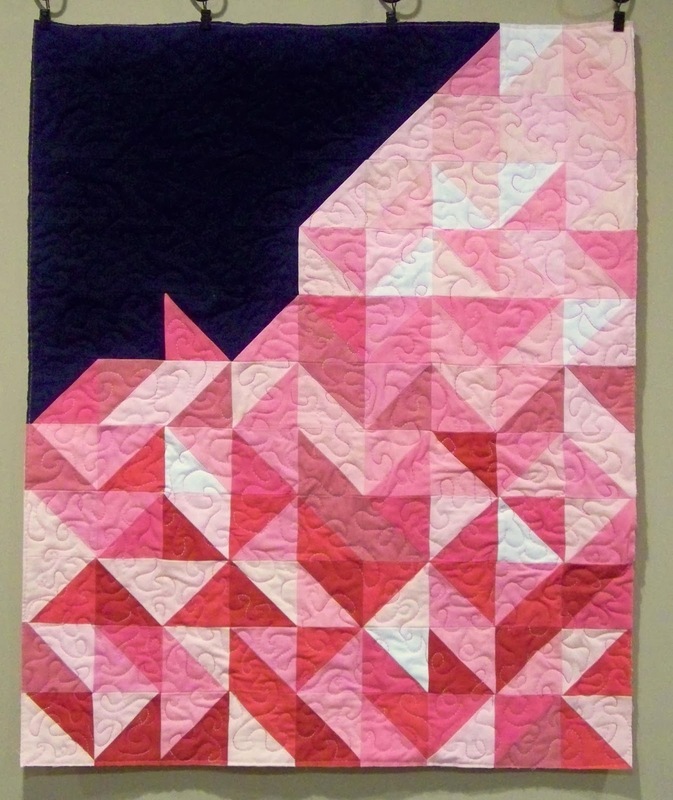 The quilt was featured because it is in Rachel May's book Quilting with a Modern Slant! Pam is sending off her adorable Eat. Sleep. Play. Repeat. baby quilt to its new home. 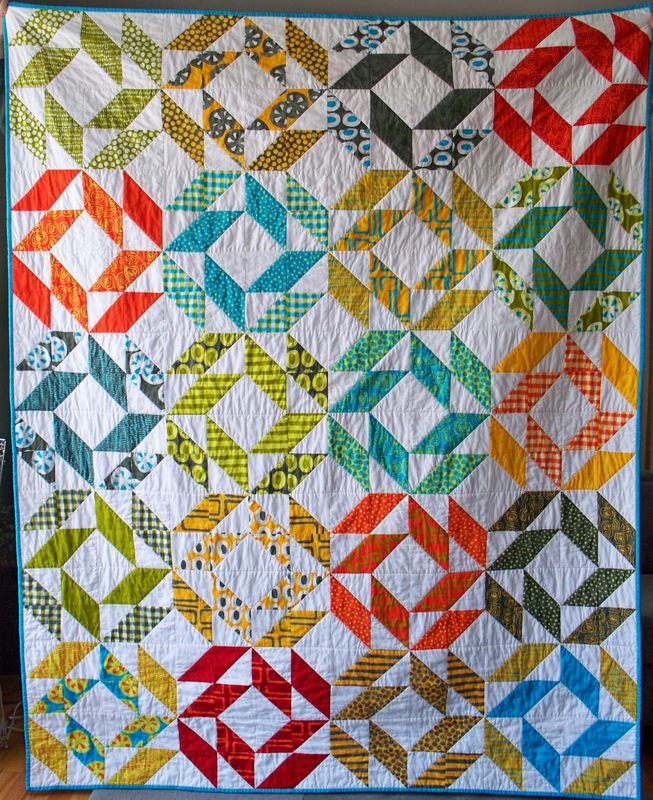 Love the colors, love the quilting! The left one is the Camp Stitchalot bag (pattern by Sara Lawson of Sew Sweetness), the right one is a tackle bag (pattern by Kristen Link of Sew Mama Sew). She also discusses a few other things she was working on there, and what makes a good project to take on a retreat. Hope everyone can make the meeting on Wednesday! We are getting a special discounted price for this retreat. The cost is $95 per person. This price includes your room, use of the facilities, dinner on Friday, breakfast and dinner on Saturday, breakfast on Sunday. There is an extra charge of $35 if you would like to come on Thursday, but this does not include any meals. Check in time is noon on Thursday and check out time is 2:00 pm on Sunday. I am taking reservations from guild members only now. Non-members can begin making reservations after the March A2MQG meeting. 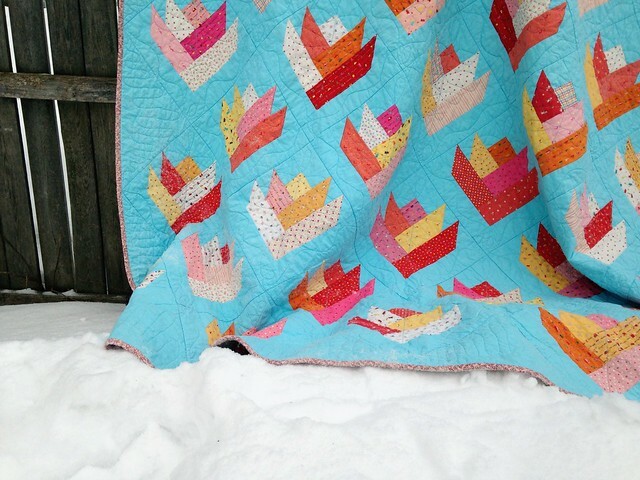 Bring your deposit check made out to the Ann Arbor Modern Quilt Guild to the March meeting or send it via US Mail to Jen. B. If you prefer to make your deposit by Pay Pal, there is a $2 additional processing fee. So, the deposit will be $52. Send an email to Jen B. and she will create an invoice for you. You will pay the balance directly to the Hankerd Inn when you check out. In order to get the barn, we must have 12 or more people. If we have less than 12 we will get one of the smaller houses. 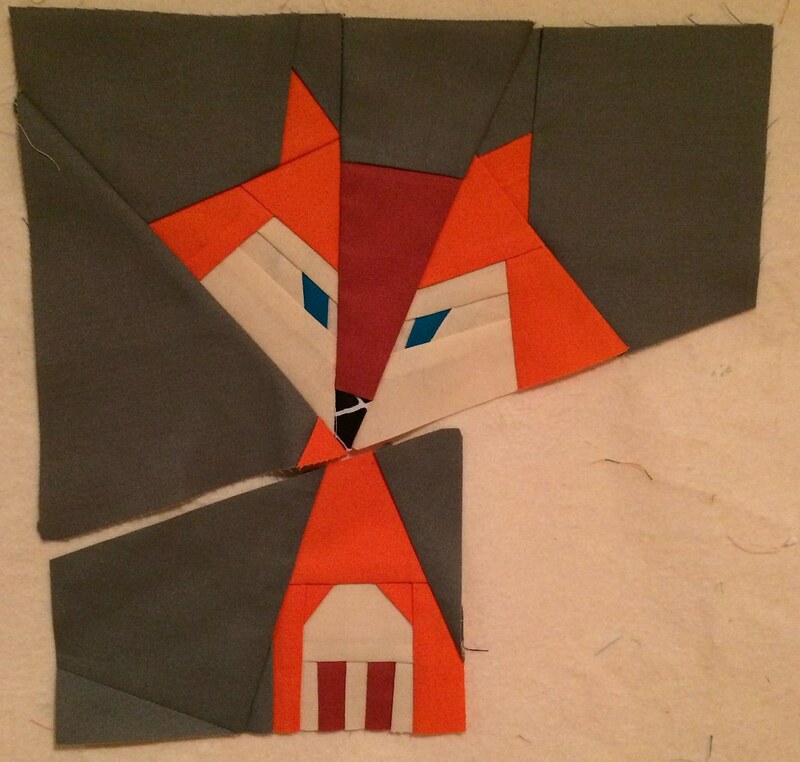 Here is a free tutorial on how to make the blocks. You can bring as many blocks as you like. You will get one "ticket" per block you bring in, so the more blocks you bring, the more likely you are to win the stack of blocks! The blocks people being to the meeting should be 7 in squares. Colors are neutral prints or solids with a contrasting darker solid. Weekly Round up for 3/16/14! Our own Jenna Brand got second place in the Catnap Dress Contest. Congratulations, Jenna! Kathy is working on a very cool looking project with wool. And I'll see everyone at the sew in tomorrow, right? Weekly Round Up for March 2nd, 2014! Those pictures of hotel carpet are quite fascinating! Swap: Block lottery - Disappearing 9 patch. For every block you make, you get an entry into the lottery. The lottery winner goes home with all the blocks. 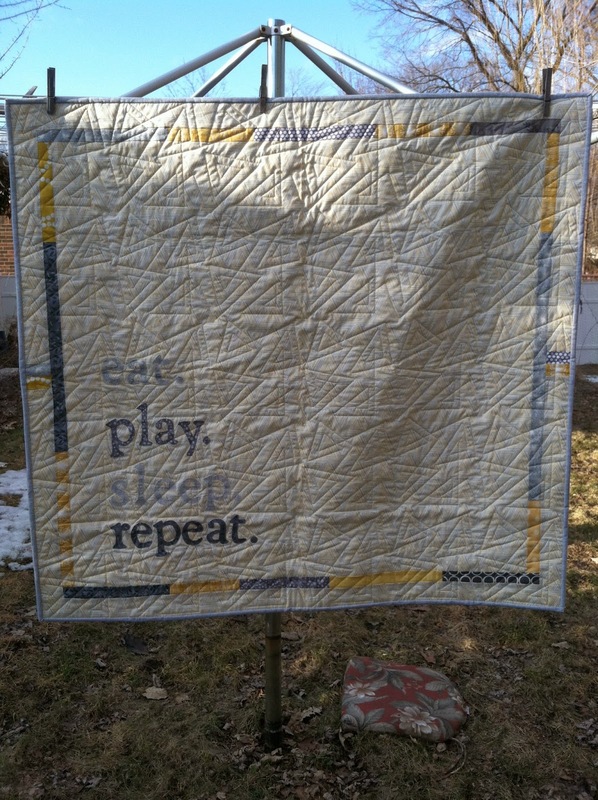 Here’s a link: http://www.psiquilt.com/2009/03/disappearing-9-patch-tutorial-super.html Details to come on size and layout. One Day Retreat is going to be April 27th. Modern Feature - GAAQG - committee meeting info from Pam K.
Information about the selection process for our quilts was distributed and has also been emailed to the membership. 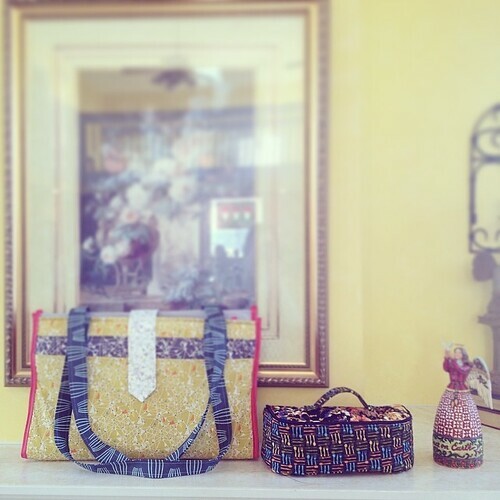 There will also be a trunk show / meet and greet on Monday, May 14 at Pink Castle Fabrics in the evening. Contact Debbie or Brenda to RSVP. Summer Retreat: June 26 - 29th at the Hankerd Inn. Please bring a $50 deposit check made out to the Ann Arbor Modern Quilt Guild to our next meeting if you'd like to attend. QuiltCon: Jenna volunteered to be a QuiltCon chair. She will work to gather everyone's information who is attending and to help coordinate rooms and flights. An email from Survey Monkey will go out to the membership. All members can vote and a winner will be announced at the next meeting and receive the pile of fabric! Tools Freebie: Members dropped off tools they no longer use or need for sewing. Someone's trash became someone's treasure!